The Ferragon way of doing business. Ferragon offers a comprehensive package of metal processing services that helps eliminate waste and reduce costs. Our customers buy only the services they need while keeping their processing costs variable and flexible. 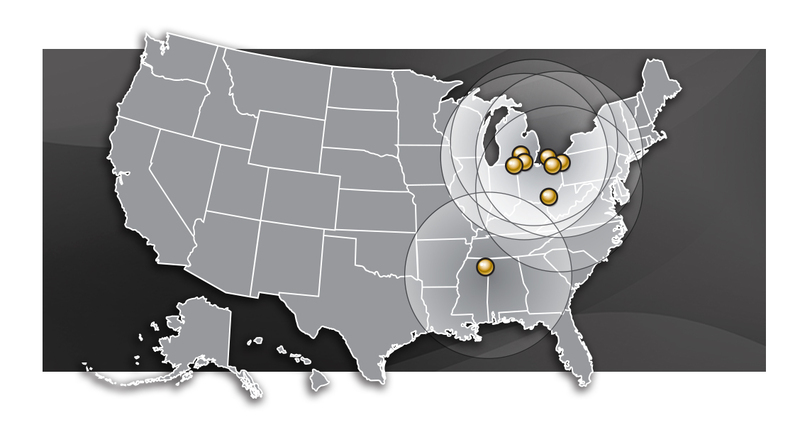 We can work with any mill, service center, broker, and OEM within the metals supply chain. Ferragon strategically invests in metal processing services and technologies that are dependent on total metal market consumption— not on metal pricing. We purchase heavy duty, high volume processing lines that are often difficult for a single metals company to profitably employ themselves. Since we can provide our services to myriad companies, we achieve economies of scale and cost advantages that give us defensible, competitive advantages. Furthermore, our business strategy dictates that we geographically locate our facilities directly in the lanes of steel commerce and in areas that provide logistical shipping advantages so that the combined costs of freight-in, processing and freight-out are the lowest possible. He who wastes least, profits mosts. Investing for the future by building on a tradition of strategic innovation. Staying true to our core business while offering our customers continuously improved services, technology and sourcing alternatives has enabled Ferragon to add higher-quality, higher-value-added capabilities. This strategy has opened the door for greater participation in demanding advanced high-strength and ultra high-strength steel applications. In turn, this experience has allowed Ferragon to evolve into a stronger, more diversified service provider. A proven record of success and growth. 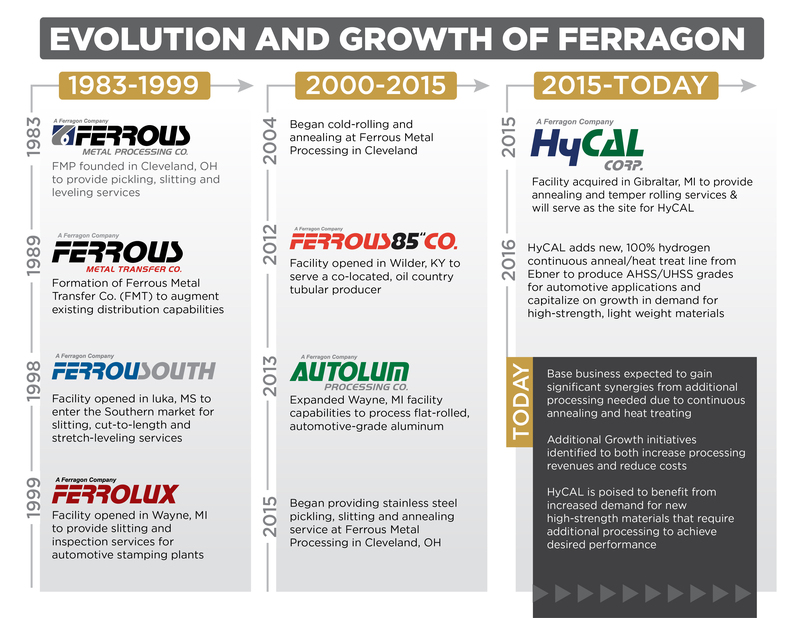 From humble beginnings, Ferragon Corp has grown into one of the leading metals services providers in North America. The companies of Ferragon have thrived and evolved. Ongoing investment in the latest processing technologies and a commitment to service has allowed us to provide ever increasing value to our customers. Participation in our industry associations is invaluable for staying in tune with developments in the market and helps us maintain an informational and competitive edge that translates into benefits for our customers. Our membership also gives us the opportunity give back and make our industry stronger.